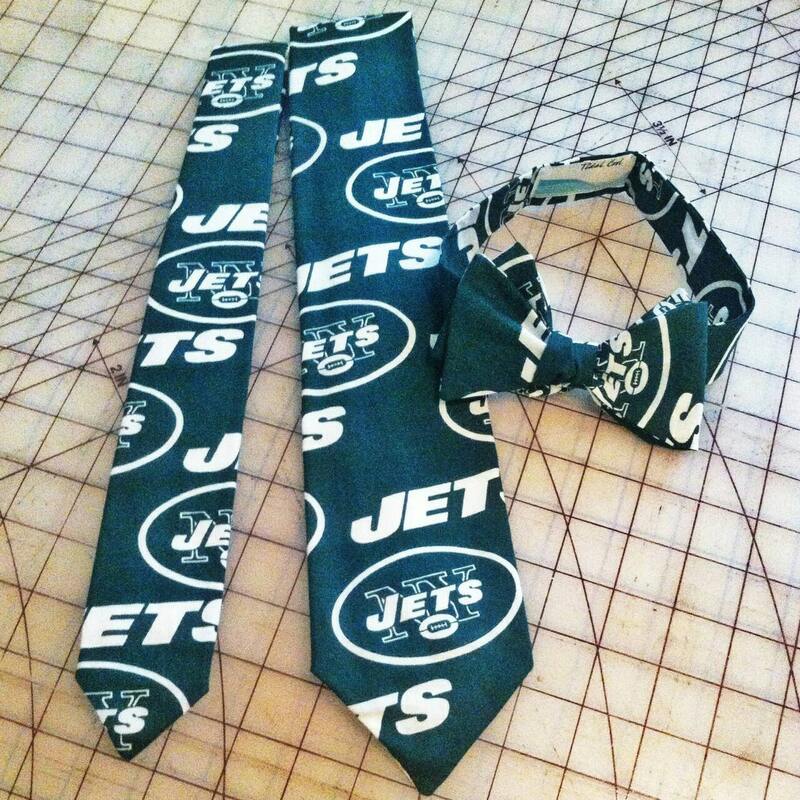 New York Jets Necktie in bow tie, skinny tie, or standard tie styles, and kids or adult sizes. Great for any fan. Adult bow tie is self-tie, sized to 16.5", custom length available at no charge. Kids’ bow tie comes pre-tied, and has back elastic to allow it to slip over the head. Please see chart below for full necktie and bow tie sizing for children and adults. Love sports but not this print? Check out other prints in the Neckties and Accessories section of my shop! Matching pocket squares, vests, and cummerbunds are made to order, please allow additional time. All ties are handmade in Cleveland, Ohio, and also available for pick up in the Tidal Cool Boutique. Neckties are made from 100% printed cotton and lined with unbleached muslin. I recommend spot cleaning and a hot iron as needed. Returns are only available for damaged or incorrect merchandise. Store credit and exchanges welcome. If you have questions about sizing, shipping, or custom orders, please ask before ordering!